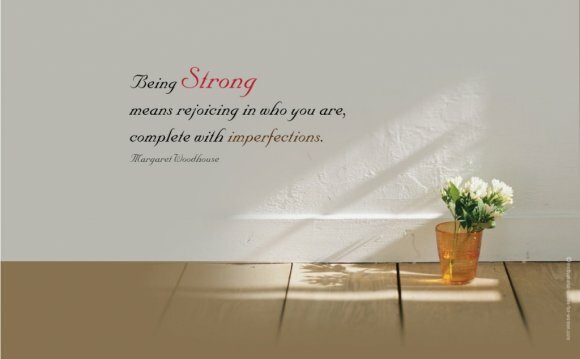 I just adore this quote, perhaps because I believe in all these things now but never used to. These sentences remind me of how people can and do change, they give me hope in the possibility of transformation. I used to wear only black. I hated pink. I was deeply cynical about everyone and everything. I hated my body and tried to beat it into submission. I fell apart a lot, sinking into drama at the slightest thing. I believed I was ugly and rarely smiled. I certainly didn't believe in miracles. Today I do. 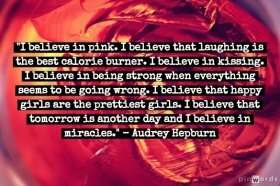 I wear pink, I laugh often, I leave my body to be, I feel pretty (especially when I'm smiling) I often surprise myself with my strength, I believe in the chance of tomorrow and the possibility of miracles. I believe in hope and love and the goodness of people. Needless to say, I'm a million times happier today than I ever used to be. Which, I think, is reason enough to believe in all these things and much, much more. In my humble opinion, faith in power of joy is the foundation for everything. For additional local CT Car Service visit nycairportslimo.